Our chakras are the energy vortices through which we draw in cosmic energy. It is very important for our chakras to be healthy if not the respective endocrine glands attached to them stop working and cause ailments and problems in and around that particular area. The technique listed below allows our body and mind to work in synchronicity with each other to heal our chakras. ♦ Sit in a relaxed and comfortable position. Clear out all distractions. ♦ Shield and Ground yourself through visualization or invocation. ♦ Begin by focusing your awareness on your Root Chakra. Visualize the color red, visualize it becoming brighter and brighter. Don’t make it bigger or smaller just make it brighter allowing it to heal any unwanted energy accumulated at the chakra. See that the chakra is moving in a clock-wise direction. Make sure it is not moving too fast or too slow. Let it be in harmony. You can use Sei He Ki symbol to do so. ♦ After you finish healing all the chakras use the same technique to heal your aura, surround yourself with white light. 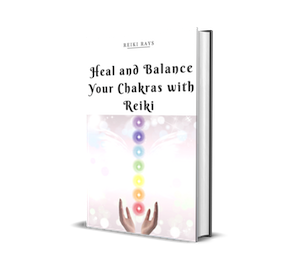 The best part about this technique is that people who are not attuned to Reiki can also use it but if you are a Reiki Channel you will definitely see better and faster results. Previous post: Does Reiki Have any “Side-Effects”?